From the very early days of establishment, AEON MALL Tan Phu Celadon has always followed the criterion of serving customers with Omotenashi spirit. Customers’ satisfaction, which is the core value of this spirit, is also what AEON MALL Tan Phu Celadon appreciates the most during its operation process. Omotenashi is a Japanese-style service culture, which is understood as “wholehearted service”. In Japan, Omotenashi has become an art in the service industry, a measure as well as a factor that greatly influences the success of any business. Therefore, when referring to Japanese standard of service, many people will know Omotenashi serving culture immediately. At AEON MALL Tan Phu Celadon, serving attitude is one of the most important factors affecting customers’ experience when visiting and shopping. 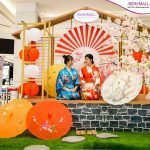 Omotenashi culture at AEON MALL Tan Phu Celadon is highly valued and expressed through guest greeting activity, friendly and enthusiastic attitude towards the guests of the staff from the laborer, the security guard to the customer care staff. 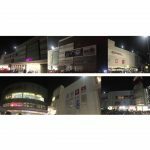 This culture has been maintained since AEON MALL Tan Phu Celadon started its operation until now. 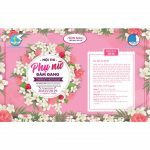 With the precept “Japanese Heart, Vietnamese Smile”, customers’ satisfaction, joy and smile are the most precious reward that all employees working at AEON MALL Tan Phu Celadon desire to receive. Everything that AEON MALL Tan Phu Celadon people are doing is always coming from their heart, with the most devoted, sincere and enthusiastic purpose to bring satisfaction to all the customers. Airing with Omotenashi spirit in this period, from March 25th to April 6th, 2019, at ST06 hall – 1st floor AEON MALL Tan Phu Celadon, there will be a customer survey on the service quality and serving attitude of employees working at AEON MALL Tan Phu Celadon. 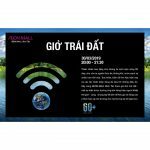 Through this activity, AEON MALL Tan Phu Celadon hopes to receive valuable comments from customers to be able to change and improve the service, in order to bring the best experience to all customers. Moreover, when participating in survey activity, customers will be photographed and printed for free at the survey booth. This is an opportunity for customers to directly keep their moments at AEON MALL Tan Phu Celadon with instant images. 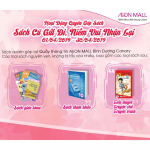 In addition, from 6pm on April 7th, 2019 at ST06 hall – 1st floor AEON MALL Tan Phu Celadon there is going to have an Acoustic Music Night program as a tribute to all customers who have accompanied with AEON MALL Tan Phu Celadon from the first established days until now. The Omotenashi serving culture is one of the unique features of AEON MALL Tan Phu Celadon. With the principle of “customer first”, AEON MALL Tan Phu Celadon always aims to bring great experience and absolute satisfaction to customers.